What Makes Winter the Perfect Time To Build a Pool? Want your summer to look like this? Invest in a pool now! A new pool probably isn’t on your mind when the weather gets frosty. You’re probably much more focused on staying warm indoors! That being said, you may want to consider adding a pool to your holiday shopping list. Winter is one of the best times to get started on your new pool. Interested in finding out why that is? Let’s take a look! Dive in while the water is calm! One of the best reasons to invest in a pool during the winter is that most people are going to wait until spring. The market will be a lot slower and calmer, which will allow you to take your time with your planning process. Taking the time to plan, process, and save more funds may allow you to invest in that water feature you thought you couldn’t afford. Not only that, but swimming pool installations tend to be more cost effective when they are purchased during slower seasons. Build a pool that will make your summer extra special. If you begin the process now, your new pool will be ready by the time summer rolls around. Waiting until the spring could leave you waiting until next year to enjoy your new pool. You will want to dive into your new pool as soon as summer hits, so don’t wait until spring to get started! How can you wrap a pool for your holiday surprise? If you’re ready to invest in your pool and you want to surprise your loved ones, you may be wondering how you can present it. You have a couple of options. You could purchase individual pool toys for all of the members of your family. You could wrap one large piece of pool equipment like a pool cleaner or a filter. You could wrap a piece of tile that you plan to have installed as part of your pool. 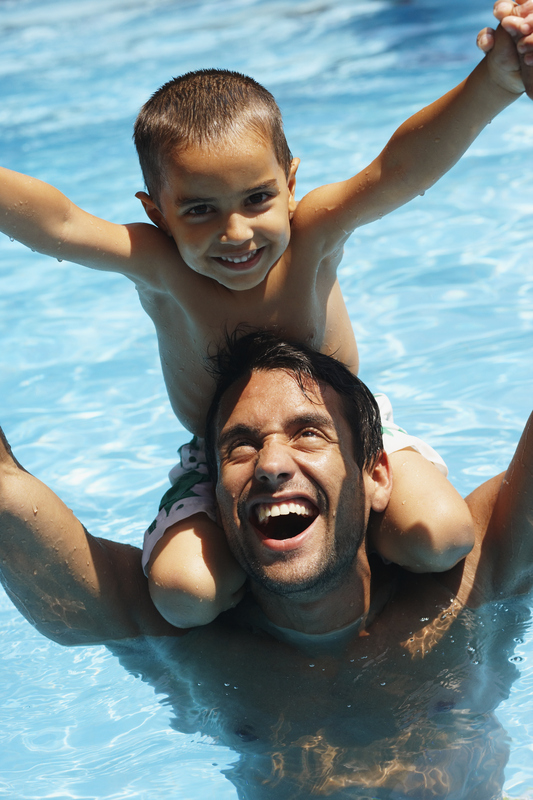 No matter how you surprise them, your family is going to be very excited when you build your new pool. This entry was posted on Friday, December 16th, 2016 at 2:05 pm. Both comments and pings are currently closed.